Nearsightedness, medically known as myopia, is a condition that affects the ability of your eyes to see nearby objects clearly. If you’re nearsighted, you won’t have any problems seeing objects that are within your immediate field of vision. However, as the distance between you and the object grows, the more blurred the image becomes. If left untreated, myopia can greatly affect your performance at school or at work, as well as your everyday life. For your eyes to process visual information, light passes through the cornea and has to be refracted at just the right angle so your brain can perceive them as a coherent image. The shape of your eyeballs plays a crucial role in ensuring the light rays are refracted properly. When your eyeballs are irregularly shaped or are elongated, the light cannot be focused properly. Genetics also has a role in the development of myopia. There’s sufficient evidence to believe that myopia can be inherited if one or both parents are afflicted. However, the development of the eye condition itself can be exacerbated by engaging in strenuous or intense visual activities. If you spend the majority of your time reading or using a computer, it’s best to schedule regular eye health exam appointments with your local eye clinic. There is no known cure for myopia. However, several options can help manage the condition. 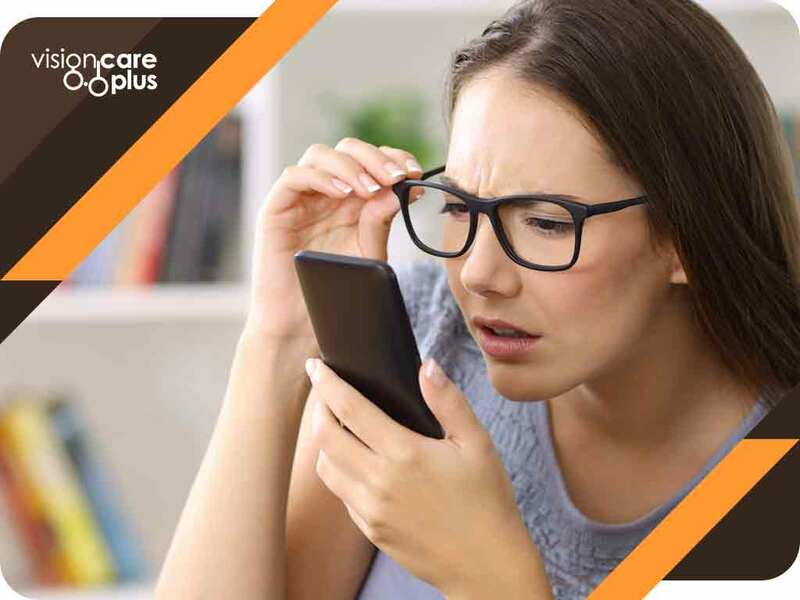 For one, patients with myopia can wear corrective contact lenses or eyeglasses. Specialty lenses such as ortho-k lenses can also be used. There are also permanent treatment options such as refractive surgeries or laser procedures. People with stress-related nearsightedness can undergo vision therapy. Don’t let myopia get the best of you. At Vision Care Plus, we believe that eye health is a priority. We offer a wide range of products and services, from prescription eyeglasses to comprehensive eye exams. Call us at (844) 201-5900 to set an appointment. We work with patients in Beaumont, Drayton, and Wetaskiwin, AB.